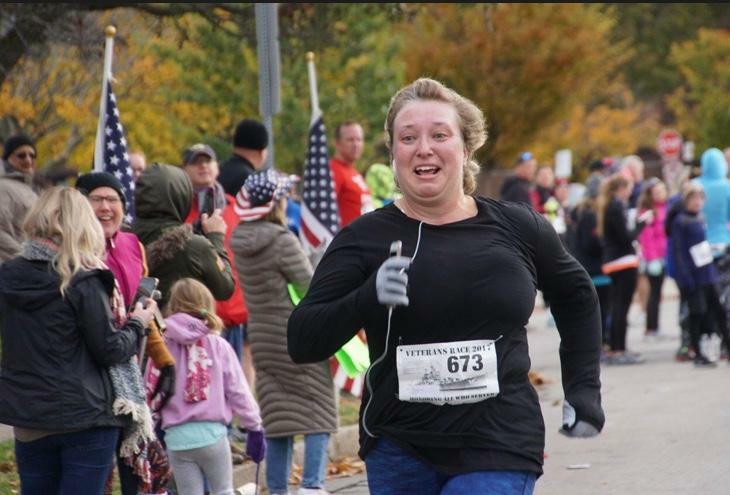 This picture is from the Veterans 5K, which I ran last week, in Buffalo, NY. The video is footage of me as I am approaching the finish line and realize that I am going to beat my time in last year’s race by over 3 minutes. I finished the same race last year in 41:25. This year, I finished the race in 38:11. Here is a bit of my back story: A local running program, Boys on the Right Track, started one of their programs last year at the elementary school where I am a teacher. I thought it would be a nice idea if the boys saw one of their teachers run the race with them. I thought how hard could it be to run 3.1 miles? Prior to last September, I had never run before. So, a colleague of mine who runs the Buffalo Marathon, trained me for 9 weeks after school for the Veterans 5K. My goal was just to run, not walk, and finish and not finish last. Well, I did that in 41:25. I became hooked on running and continued to run over the last year. I even ran a 5K by myself in June 2017. Sadly, Boys are the Right Track did not return to my school. However, I decided that this running journey needed to come full circle for me so I signed up to run the Veterans 5K again this year. Again, I trained, this time by myself, with the goal of finishing faster than last year. While running the race last week by myself, I thought that I was going to be a minute or two over my time from last year and was becoming discouraged. Well, as the video showed, I was shocked to see that I took over 3 minutes off my time from last year. I believe you can hear me screaming, “I did it! I did it!” So, although I have not been running for long, last week most definitely is my most memorable moment in this journey. When I thought I couldn’t reach goal, I had gladly proved myself wrong. This entry was posted in Favorite Runners and tagged run, runners, running.